I once ate 9 corn on the cobs while my sisters cheered me on. Not 1/2's either, the whole darn thing. I was young, chubby and loved to please my 3 older sisters. 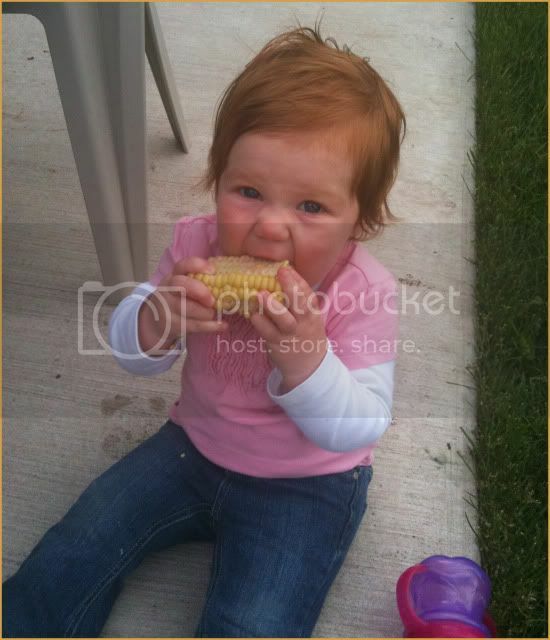 Stella had her first corn on the cob. I can tell she's in love already. She gnawed and gnawed on that thing. Will 9 be in her future just to please her older brothers? or deposit that junk in the toilet.